Michael Jones. / Auckland Rugby Union. 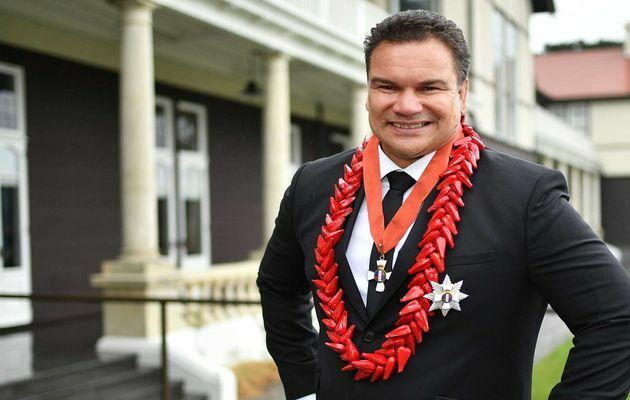 MICHAEL JONES was considered one of the finest rugby players in the world in the 80s and 90s. He played for New Zealand more than 60 times. I had the opportunity to meet him in Atlanta, and Michael explained that he had dedicated his life to the Lord when he was only seven years old. He spoke about the need to always stay very close to God's heart, putting him in first place, before anything else in life. What about us? Where is our heart? Will God say the same thing about us as he said about the Israelites? Is our heart far from God? I believe that one of the main causes of losing the vision of the majesty of God in our lives, is closely related to our lack of something as important as WORSHIP. We have not given enough emphasis to the worship of God: we haven't spoken enough about this in the church, with our children or with our friends...therefore we have missed out a little more each day on the knowledge we could have of God's presence. Our hearts have been filled with other things. We need to get back to worshipping our God. We need to spend time, each day, contemplating God. We urgently need to add firewood to the fire of our personal relationship with him. We need to place our plans before him and be obedient to the voice of the Spirit of God. We need to know him more and more each day and to be willing to lose ANYTHING in order to spend more time with him. It's only with this attitude of worship and contemplation that we can be just like the child who wants to spend time playing and talking to his father. We need to draw our hearts closer to God. The Lord Jesus explained what true worship should be when he said that we should do it "in spirit and in truth", or rather, in accordance with the Holy Spirit and the Word of God. Worship with ALL our enthusiasm and joy, but more importantly, worship in obedience to God. Is your heart drifting away from God? Why don't you stop right now and begin to worship HIM?